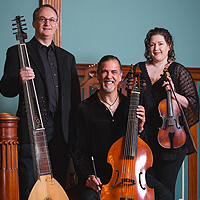 Early Music in Columbus | A Concert Series dedicated to the music of the Medieval, Renaissance, and Baroque Periods. Red Priest explores the connections--real and imagined--between gypsy musicians and the master composers of the 17th and 18th centuries. 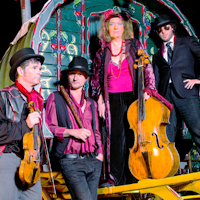 Exploring the Eastern European folk influences ever present in the music of Telemann, and the recently discovered Uhrovska Collection of gypsy dance tunes from 1730, Red Priest combines its trademark baroque dynamism with true gypsy mayhem! The reign of the great Tudor Queen, Elizabeth I, saw an unparalleled flowering of the arts in England. The “Virgin Queen,” herself a talented musician, presided over a court which reveled in the skill of great composers such as Thomas Tallis, William Byrd, and John Dowland. This program explores the way music was used to gain favor with the Queen by courtiers and diplomats and even by suitors, seeking to gain the royal hand in marriage. Along the way we meet foreign spies, disgraced favorites and plotting noblemen, illuminating the life of a court which rejoiced in some of the finest music ever created in England. Two local early music ensembles, The Early Interval and Fior Angelico, join forces to present a festive and mystical Twelfth Night. This program revels in the sumptuous music of the Spanish Renaissance and early Baroque, known as Spain's Golden Age. 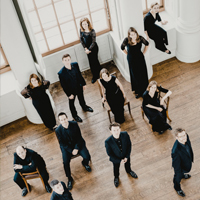 Featured works are the Missa O magnum mysterium by Tomás Luis de Victoria and seasonal motets, alongside instrumental fantasias, variations, and dances, including favorites enjoyed by Columbus audiences spanning four decades. Les Délices (Debra Nagy, director) & Blue Heron (Scott Metcalfe, director) come together for this program focused on Hope (Esperance), the allegorical character from the world of the Romance of the Rose who sustains a courtly lover through the thousand pains of lovesickness and teaches him to find delight instead of suffering. 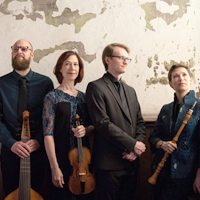 Songs about Hope explores a group of 14th-century songs in the hypnotic late-medieval style dubbed the Ars subtilior or “more subtle art” that draw inspiration from each other’s words and music. Works by Machaut, Senleches, Caserta, and Galiot, and others. 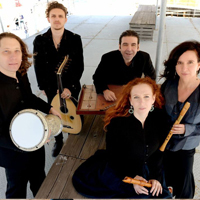 East of the River presents HAMSA featuring music from the geographic regions of Andalusia, North Africa, the Ottoman Empire, and the Sephardic Diaspora. Based on music using the melodic modal system referred to as the Makam, this program draws its listeners to the distinct beauty of and similarities between liturgical, folk, and Ottoman courtly music.